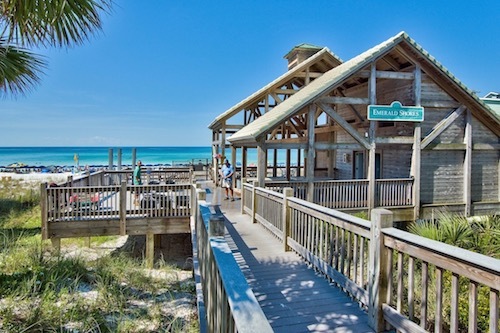 Emerald Shores is the perfect community for your next trip to Destin, Florida! This gated neighborhood gives you the opportunity to make the most of your trip this year with your own elegant home and prime location! 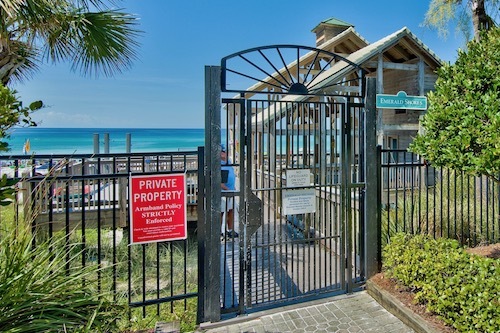 When it comes to access to the beach, guests of the Emerald Shores community are provided with wristbands and a code to the private beach located right across the street from our neighborhood’s entrance! Upon accessing the beach, you’ll be welcomed through our Beach Pavilion, which has a variety of features for the Emerald Shores guests! Accustomed with bathrooms and storage units for your bags, shoes or carts! Have everything you need right here so there’s no need to leave the beach all day long! There is also a “Beach Bar on the pavilion. It serves some of your favorite food and beverages, making it a pleasure to stay at the beach all day long. This gated community offers guests two swimming pools, one larger pool located in the center of the neighborhood surrounded by rental properties, while the other sits near the back entrance in a less populated part of the community! Both pools are surrounded by seating areas as well for more guests! Due to this prime location in comparison to the beach, there’s plenty to do around here including activities on the beach and in the ocean! 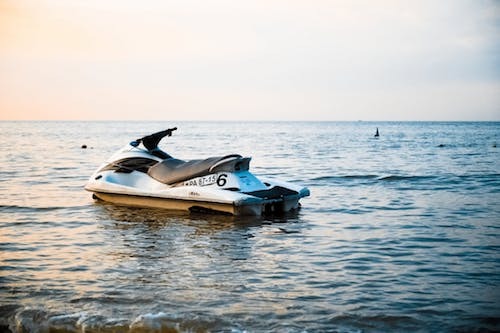 Be sure to check out parasailing, deep sea fishing, renting jet skis, kayaking, you name it! 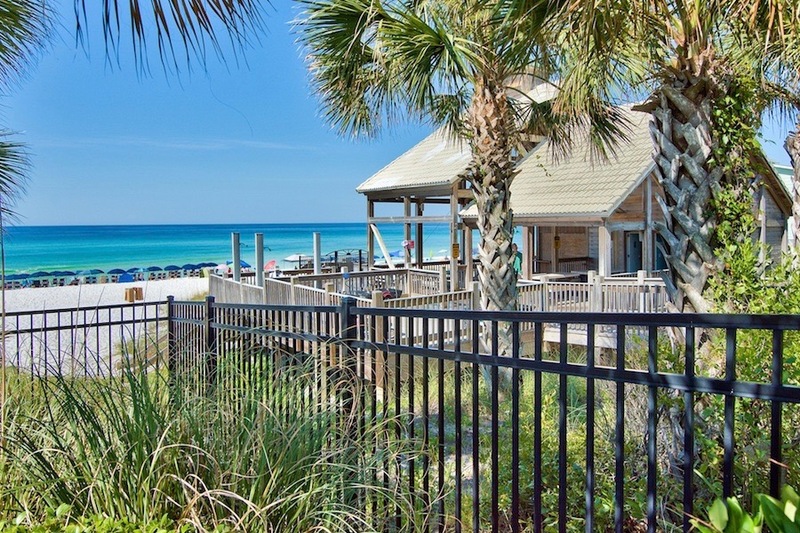 Destin is a rapidly growing golf area with a surplus of fantastic courses for your benefit. A few local courses just a few miles from Emerald Shores. 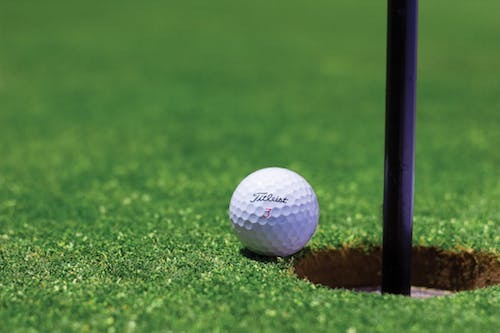 A few of our favorites are Indian Bayou Golf and Country Club, Seascape Golf and Tennis Resort and Golf Garden of Destin! These courses all offer amazing scenery, great facilities and more for you to enjoy! 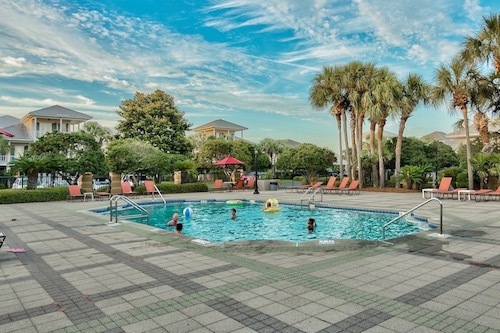 The athletic courts can be located near the south entrance of the neighborhood right by the second pool, this area provides people with a multitude of activities to enjoy when taking a break from the beach or pool! 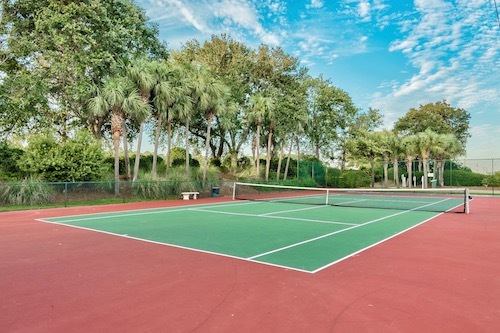 The perfect area for family tournaments or just friendly games! When it comes to food around here, you’ve come to the right place! There’s a variety of delicious spots to eat up and down Scenic 98 Highway right outside the neighborhood! 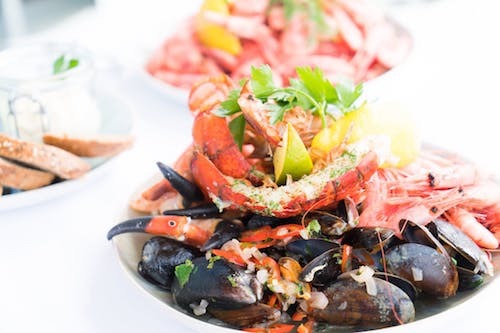 Kenny D’s sits right outside the neighborhood with some fantastic traditional food and seafood in a fun setting and views of the beach you don’t want to miss! Be sure to stop by and grab a bite!